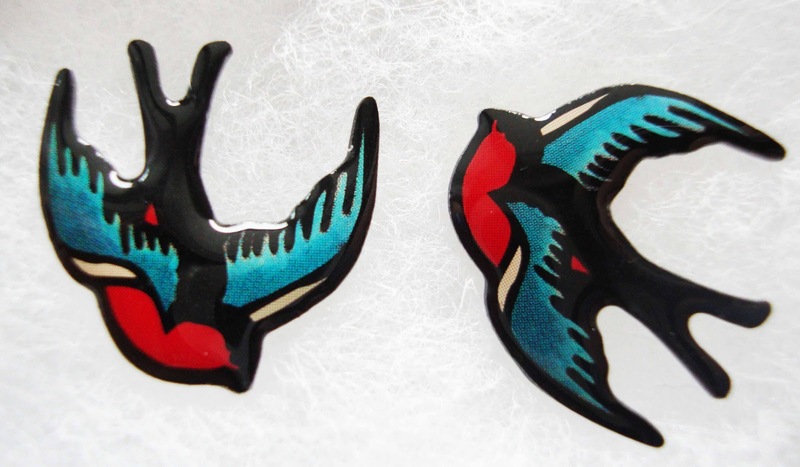 I never enter a give away, but these earrings were made for me, ahhhhhhhhhhhhhhhhhhh. I am following you in Blogloving too, now. ich rechne mir ja keine großen Chancen aus, dennoch mach ich mit und drück mir die Daumen! Die Ohrringe sind ganz wundervoll!!! Da würde ich bestimmt ein tolles Outfit zu finden. I <3 it!!! I follow on GFC as Sinni and ond Facebook as Sandra Leve. I have followed your facebook page and via blog lovin. I hope I win the earrings they are amazing. I do love Tatty Devine. I'm thinking about starting a blog just about my TD obsession!